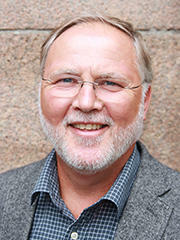 Terje Stordalen, professor in the Faculty of Theology at the University of Oslo (UiO), served as a CAS project leader during the 2014/15 academic year. His project, Local Dynamics of Globalisation in the Pre-Modern Levant, brought together scholars from five different countries to study the forces and counter-forces of globalisation in the pre-modern Eastern Mediterranean. The year at CAS took Stordalen’s career in directions he ‘never would have envisioned.’ During his stay, he grew interested in a CAS project on Nordic inheritance law that was also housed at the Centre that academic year. Stordalen later teamed up privately with one of the project’s Danish fellows, and today, he holds a visiting professorship at Aalborg University. Stordalen looked back on his stay at CAS in an interview last month. Over the years prior to my CAS application, I had been developing a cross-disciplinary project with a colleague in the USA, social anthropologist and archaeologist Øystein S. LaBianca. We developed an application to CAS because we had not been able to find any other financial support for the kind of big issue, cross-disciplinary, explorative, and intensely group-based project that we envisioned. There are so many good memories from the year at CAS, starting with the very professional and friendly staff, the lively lunch conversations, and the utter bliss of being able to work in research day after day without major interruptions. In terms of academic and intellectual production, the most important issues were the many international workshops where we got to engage with experts in a number of different fields, and also the in-group conversations that developed all along the full year. The year at CAS has altered my academic trajectory in so many ways that it is not easy to account for. To start with the obvious, three volumes of collective work are related to this year: The Formative Past and the Formation of the Future: Collective Remembering and Identity Formation (editors T. Stordalen and S.-A. Naguib), published in 2015; Figuration and Sensation in Judaism, Christianity and Islam: Contested Desires (editors B. Meyer and T. Stordalen); and Levantine Entanglements: Local Dynamics of Globalisation in a Contested Region (editors T. Stordalen and Ø.S. Labianca). For the latter two books, which are set to be published next year, we have arranged a few contributor conferences and editorial sessions, and we have also presented elements from the reflection in these volumes at international venues. I have personally continued to develop in four particular dimensions of reflection: a trajectory on collective memory and remembering, a focus on the materiality of religion (and all other ideology), an exploration on social and scriptural canons and the ‘ecologies’ they tend to crystallise, and finally an argument to re-evaluate the role of local communities when writing global histories. The remainder of my academic career is going to be marked by these questions. Your colleague at UiO, Marianne Bjelland Kartzow, and MF’s Liv Ingeborg Lied will lead a CAS project in 2020/21. What advice do you have for them – or project leaders in general? I think Marianne and Liv Ingeborg are fully capable of carving out for themselves productive ways of being project leaders -- and to the extent that they should wish to hear my advice, they will probably ask for it. Looking back, however, I do see a few things that I would have liked to do differently. First, we experienced that more than half of all our fellows in the end did not stay the full time, or they did not come at all. Secondly, some of the fellows who did come had already committed to so many obligations that they did not work full time with the project. I should have liked to have prepared everyone better in advance for actually committing to the project. One year for a cross-disciplinary project is too little anyway, and one cannot afford that people are not all-in from the beginning to the end.